Letting go of control isn’t easy for us humans. We are hard wired from a young age to understand that command and authority is a necessary influence that we must obtain. At the very least, believing that we have power over some aspect of our life and our participation in it allows us to feel moderately satisfied. The issue of control, like the Ego has a bit of a bad rap, which is really unfortunate. 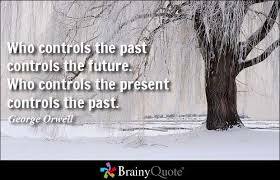 Control can be used against us, in which case it doesn’t leave us with positive experiences, control on the other hand can have it’s value as well. The issue of control is a bit like ‘your damned if you do, and damned if you don’t’, at least this has been my relationship with this dominant influence. An experience that may have received your attention and perhaps still rings in your ear, might be words like, ‘you are too controlling’, or ‘don’t try to control me’! If these words have been directed at you, I’m sure you felt an emotional reaction inside of yourself, that wasn’t very pleasant. In turn if you are the one uttering these words, then would it be safe to say for some reason, you are feeling powerless. Either way the word control, and what it stands for in your life, is to some degree limiting you, causing you unhappiness, stress and other negative feelings. When life gets this way and it feels like there isn’t much hope that anything will change, perhaps the art of surrendering would bring about some optimism. What exactly are we surrendering to? We give into a power greater and much more wiser than we are, and we leave our faith and trust with it as well. Life has a plan for us, and for the most part we do a good job of it, but occasionally we let the power of our will get in the way, and it tends to guide us off of our natural path. It might seem like a scary and unfamiliar concept, if so, it will take some getting used to, don’t give up, keep going, you will start to feel the aspirations of your effects in a short time, rest be sured.